With a wide variety of configurations, a choice of powerful and fuel-efficient gasoline and diesel engines and easygoing driving manners, the Ford Transit Van brings newfound refinement and flexibility to commercial vans. The all-new Ford Transit is a full-size van that's available with a choice of three engines. It's offered in a range of configurations including cargo and passenger versions. The new Transit supplants Ford's long-running E-Series full-size van . 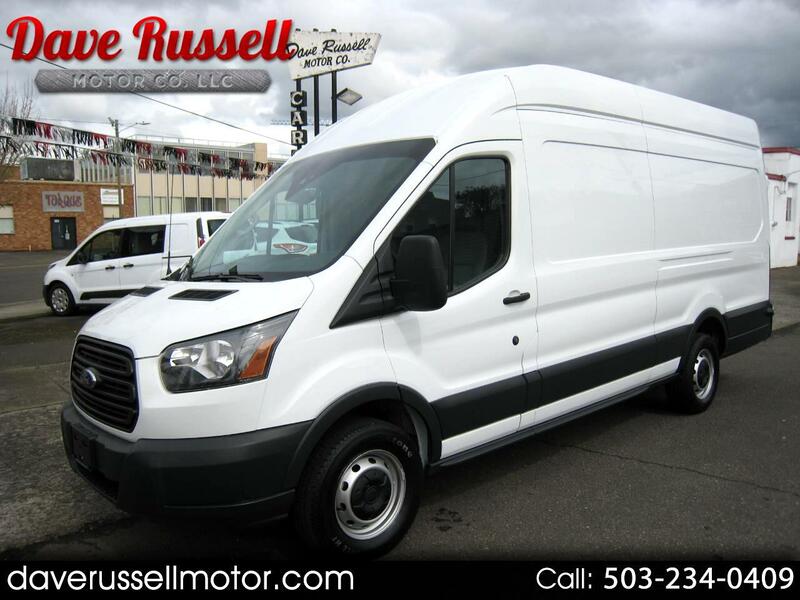 In just about every area that commercial-van buyers find important, the Transit is an upgrade. Comes with a Clean 1-Owner Carfax History Report. Stop by for a test drive today! Visit Dave Russell Motor Co LLC online at www.daverussellmotor.com to see more pictures of this vehicle or call us at 503-234-0409 today to schedule your test drive. It is the customer's sole responsibility to verify the accuracy of the prices, and existence and accuracy of equipment and options. The Dealership is not responsible for misprints on prices or equipment and options listed. Pricing and availability subject to change without notice.